International trade is becoming increasingly complex. In order to plan trade strategies effectively and legally, customs managers in international companies and public authorities must maintain an overview of many different topics and understand how they interrelate. Ineffective trade policy and failures to comply with legal requirements can have serious consequences. WHAT DOES MASTER OF CUSTOMS ADMINISTRATION” (“MCA”) OFFER YOU? The MCA places customs in its international context and covers a wide range of related subjects. It thereby provides you with comprehensive knowledge of the political, economic and legal aspects of customs. You will be required to implement theoretical knowledge in your own working environment and evaluate the results. Thereby, you will gain experience in change management and be able to develop strategies for future projects. Developments in customs often demand an overhaul of trade practices and company processes. The MCA gives you cutting-edge information and practical advice by customs experts on how to ensure compliance while facilitating trade. Business-to-customs partnerships are fundamental for secure and efficient trade. The MCA creates a global dialogue between the public and private sector and gives you the opportunity to create networks with colleagues from other countries. After the course, you will be a prime candidate for a managerial position in your chosen profession. You will be able to streamline and improve the processes of your organization, identify new trends in international trade and formulate effective policies. Upon successful completion of the course, participants will be awarded the degree “Master of Customs Administration” (“MCA”) by the University of Münster. The title of this degree reflects the fact that this course has been specifically designed to produce strategic managers in the field of customs. The Master’s course is offered on a part-time basis and lasts for 18 months. The first twelve months consist of monthly seminars and self-study. 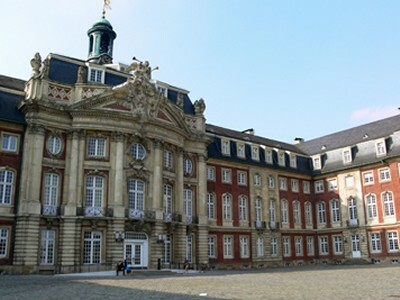 Two one-week seminars are held in Münster at the beginning and end of the course. Otherwise, the seminars are held each month in Münster for three days (Thursday – Saturday). Participants can attend classes in person or online. In addition, participants are to develop and complete a project at their place of work. The final six months of the Master’s course are devoted to writing the Master’s thesis and a report on the workplace project. As a result, the course is designed for professionals and strikes a reasonable balance between the needs of the workplace and the academic demands of a postgraduate course of studies. The Master’s in Customs, Taxation and International Trade Law has been designed in accordance with the European Credit Transfer System (ECTS) and the PICARD Standards of the World Customs Organisation.